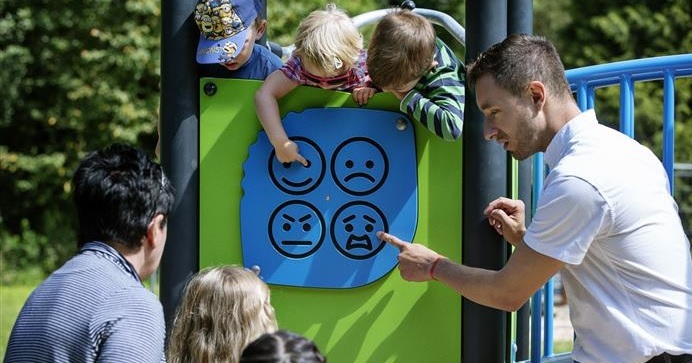 When it comes down to creating healthier and happier communities within the Leisure, customer segment, KOMPAN believes it starts with understanding that a play solution in this segment is much more than just a short break for the parents. When creating the perfect settings for leisure time, it’s important to think about how people using the area want to spend their time. In a family orientated setting, the right non-commercial activities can have a considerable impact on customer satisfaction, user loyalty and, ultimately, turnover. Create an environment where all ages can have fun, feel free, relax and socialise. Provide spaces to move, thus encouraging both children and adults to be physically active. Encourage creativity in children, inspiring them to invent games and discover new ways to play and meet new friends. KOMPAN has plenty of experience from all over the world in assisting the leisure industry with high quality solutions, securing a well planned process from design to maintenance, both for updates and new complete projects. Together we can create tailor made solutions from our broad range assortment, whether it’s playgrounds, sport games or fitness equipment - or bespoken solutions designed from scratch through our KOMPAN Design Studio using experts within design and innovation. In the play forest kids of all ages are challenged and have fun. There is something for everybody. The Play Forest is an oasis in the beech forest, surrounded by tall trees and beautiful nature. You can´t find a better place for a picnic. Our team is ready to help you! Our team of experts would be happy to help you with your project.